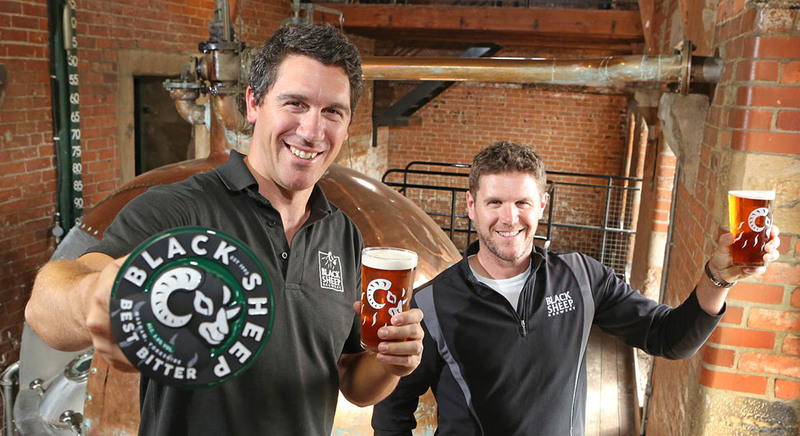 Masham-based Black Sheep Brewery in back in the black for the first time in five years after reporting sustainable growth in turnover and a significant increase in operating profit for the year to the end of March. The positive performance was on the back of a declining cask ale market, which fell by 7% year-on-year. July 2017 marked a significant moment in Black Sheep’s 26-year history as it launched its first-ever small batch craft lager, 54° North, a brand created in homage to the brewery’s hometown of Masham, which sits on the 54thparallel. Black Sheep’s brewing innovation and diversity continued with the creation of new products to the on and off-trade markets. This included securing national off-trade distribution for 54° North and scaling production up to bottled and canned format, while launching several new seasonal and bottled brands, including Flying Circus and award-winning beers Venus & Mars and Choc & Orange Stout. The brewery’s reputation across the beer and pub industries was further strengthened as it was recognised by the BBPA with its prestigious ‘Beer Champion 2017’ annual award. Black Sheep also built on its Yorkshire roots as it became the official brewery of the Tour De Yorkshire – one of the UK’s premier sporting events – and renewed its sponsorship with Yorkshire County Cricket Club. The Board is actively looking into developing a sustainable packaging solution for its bottled products, while also exploring investment in Black Sheep’s retail presence, as strategies to deliver potential long-term growth. Paul Theakston, Black Sheep’s founder, will step down from the Board after the AGM later this month. 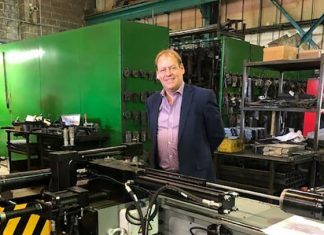 MD Rob Theakston said: “This has been another year of progress for Black Sheep as we demonstrated our ability to adapt to the challenging market and trading conditions to deliver positive results and an award-winning year. The day-to-day running of the brewery and the collaborative efforts of our team has contributed massively to this year’s success, executing the Board’s strategy to reshape and make Black Sheep even more competitive. “We have continued to diversify the Black Sheep brand with the development of several new products to the on and off-trade that complements our existing, core range. The launch of 54° North, our first-ever lager, was one of many well-received new additions to the Black Sheep range. Chairman Andy Slee said: “We have enjoyed a positive year, despite varying challenges facing brewers, including the disproportionate tax burden on the sector. Black Sheep currently pays five and a half times more in beer duty than eBay pays in UK corporation tax which strikes me as wholly unfair. Beer duty and business rates remain the issues focusing the sectors time at present, especially in dialogue with Government. “I am delighted that we have been able to meet our targets and deliver encouraging results. Our priority remains building on this positivity and delivering a sustainable future.